Fair enough, I suppose; you really didn’t get into your business to build an audience (unless that is your business). -And I don’t know exactly what these ads are selling. Maybe some kind of workshop. But that’s about where the truth of the ad ends. 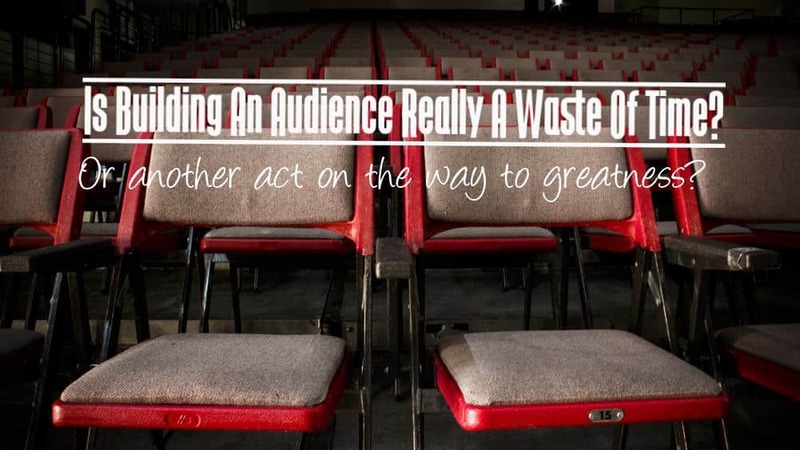 There’s only one way that building an audience is a waste of time. It’s a pretty simple way, too. Are you ready? If you’re doing it wrong. Why Are You Trying to Build an Audience? Your audience helps with Word of Mouth marketing. They have heard of you; they share your blog posts, latest email, tweet or whatever piece of gold you happen to have passed out. Your audience becomes your brand advocates. I can’t think of a single brand that doesn’t want at least a few cheerleaders and loyal fans. Building an audience – and a strong relationship with that audience – helps you create just that. Your audience buys your products. An “audience” is just made of people who listen. It’s also made of people who buy. Maybe they buy into your trust factor. Maybe they buy your products. Maybe they buy your services. But whatever they buy, your audience is what puts money into your pocket. The idea, as this ad suggests, that you can just forget your audience and get right to focusing on sales (and the spiffy workshop that they’re selling on an audience-building platform, but whatever), really sits wrong with me. As far as I’m concerned, it’s an irresponsible line to take with business owners – business owners who need the benefits of an audience for their business to grow. 1. Remember that your audience is at your beginning. Don’t write to people who are in your spot. Very seldom are people research information if they’re already “in the know”. Instead, remember that you had a start at some point in time. Reach back to the time you didn’t know anything. Write to your younger, uninformed self! 2. Drop your ego at the door. I found a site that had the owner’s name blasted across it. Not only that, but right under the name, on a slider advertising an article, it had a byline… with the owner’s name. And the title of the article was something like, “Why [the author’s name] did this.” In fact, three different articles were written by the owner, had their byline and were written in the third person. I don’t know about you, but I’d quickly get tired of reading the person’s name. I don’t want to know why you do what you do (unless it’s a “how-to”, maybe). I want to know why I should do what you do. How will it help me in my problem. 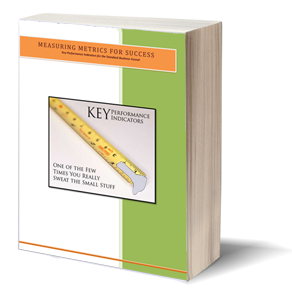 If you’re telling your readers about yourself, you may be missing the boat. 3. You may be building the wrong audience. I’ve spoken to many a blogger and business owner who realized they’d spent years building a contact list that really did them no good. How’s that, you say? Aren’t all readers alike? No, they aren’t. There are people who read because they like to know stuff, and then there are people who read because they’re looking for someone who knows stuff. Those in the first group rarely pay for services. Those in the second group almost always do. Guess which ones you want? And then there’s the whole issue of where you get your contact list. If you’ve signed up for one of those “get thousands of followers in one day” schemes, you’re in trouble. Think of all the spam you’ve ever received in your inbox. If you have a WordPress site, think of the spam comments. Or, worse yet, all the phone calls about products, services, trips and benefits you never signed up for. Oh sure, you may have a name and email. You may even have a phone number. What you don’t have, however, is an interested party. Building an audience isn’t easy, that’s for sure. It takes a lot of time and dedication – which is why most business owners pay the professionals to do it, so they can focus on what they really went into business for. But the only way it’s a waste of time is if you do it wrong. Finally, be wary of what you see in ads when they promise you the easy way out. I’ve been in marketing for over 20 years – from print to TV to online -, and it’s never gotten easier to sell. It’s only gotten harder, as people become less susceptible and warier to the cold ways of business. Take the time to build your audience and build your relationships. When it helps you build your business, you’ll be thankful that you did.